Abrahams & Gross share some frequently asked questions and answers regarding creating a Trust. A trust can be a useful tool when it comes to planning one’s estate. 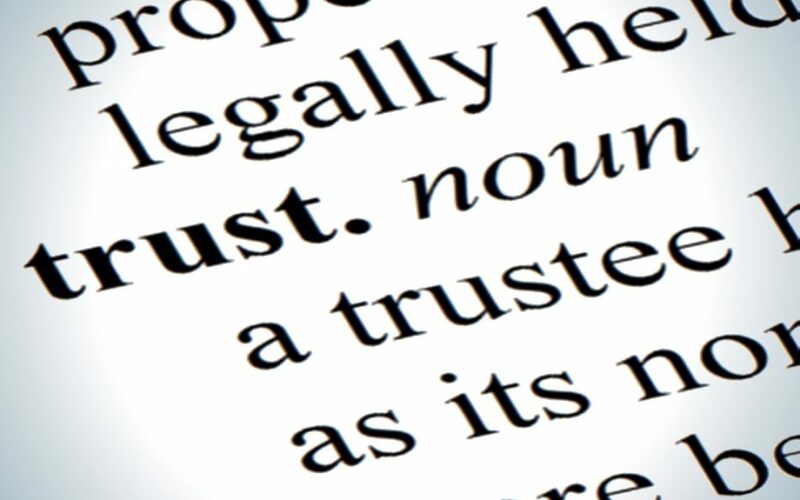 A trust creates a legal relationship between a person (known as the donor/founder) who places his or her assets under the control of another person (known as the trustee) during the donor’s lifetime (an inter vivos trust) or on the donor’s death (a will trust) for the benefit of third persons (the beneficiaries). A trust, unlike a company, does not enjoy an independent existence and as such cannot be owned, sold and transferred. Any property which is held in trust is held by the trustee in his or her capacity as trustee on behalf of the beneficiaries of the trust. What different types of Trusts can I consider? An inter vivos trust comes into being during the lifetime of the donor with the signing and registration of a trust and the issue of letters of authority by the Master of the High Court to the trustees. It is created for a variety of reasons inter alia to save on estate duty or to set up long term property/ asset management. These types of trusts do not have to pay estate duty, reduce taxes payable, protect financial privacy and regulate the use of assets if the owner becomes incapacitated, or may be used to safeguard wealth. These kinds of trusts may be either vested/bewind or discretionary trusts. In vested/bewind trusts, the trustees are directed by the trust deed as to how the benefits are distributed to the beneficiaries, whereas in discretionary trusts the beneficiaries are only entitled to receive a benefit once the trustees have decided to benefit them. The trustees have full discretion to determine the benefits made to the beneficiaries. These types of trusts come into existence after the death of a testator and are aimed at managing the trust assets for the benefit of the beneficiaries for a period of time, for example in the case of minors, until they reach the age of 25 years or older. Trusts are often created to ensure a surviving spouse has access to income during the remainder of their lifetime whilst ensuring that there is capital for children thereafter. This is a useful estate duty saving tool if used correctly. The trust is created in terms of the testator’s Last Will and Testament (which serves the same purpose as a Trust Deed) and usually only remains in existence for a certain period of time, for example, when the minor child reaches a certain age or a beneficiary dies. The trustees are appointed in terms of the Will and are issued their Letters of Authority by the Master of the High Court under which they act. This type of trust may be a discretionary trust or a vested trust. It is a vehicle for asset protection. Since assets in a trust are not owned by the trustees or the beneficiaries, the creditors of trustees or beneficiaries have no claim against the trust (although this is not always the case – in a vested trust the beneficiaries may have a claim against the trust should they be able to prove that the trustees have not distributed the assets according to the trust deed). It establishes continuity. A trust can cater for multiple generations as when any of the trustees pass away, the trust and any assets owned by it remain unaffected. When a particular beneficiary passes away, only the assets vested in him or her upon date of death would form part of his or her estate for estate duty purposes. Your assets may be excluded from certain taxes, such as estate duty, by transferring your growth assets into the name of a trust. For as long as the trust is maintained and retains the assets for the unvested and unspecified benefit of the donor’s beneficiaries, no estate duty is liable to be paid on the death of a trust beneficiary. What are the disadvantages of creating a Trust? When assets are placed in trust, there is a loss of ownership and control over the assets which then vests with the trustees. There are certain costs involved in setting up and running the trust, for example, the costs of paying professional persons to administer the trust, to prepare annual financial statements and to file income tax returns. * The benefit of saving on estate duty usually outweighs these costs. From the above it is clear that setting up a trust would not be in every person’s best interests, therefore it is important to consult with an experienced legal practitioner when making the decision to create a Trust. Please contact our knowledgeable Trusts and Estates department for any legal advice.